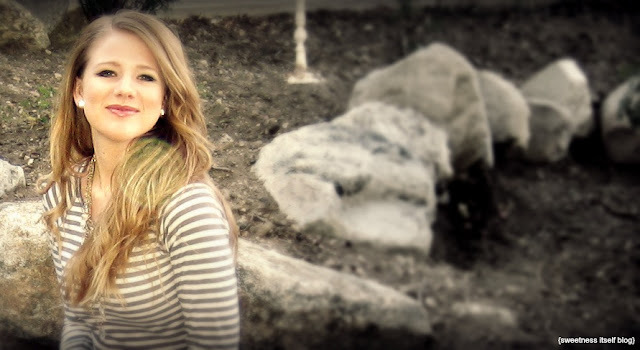 Erin Morris: influence & somethin' about me. 1. You are gorgeous girl! 2. I totally wish I was going to Influence! It sounds like it will be amazing! Maybe in the future I'll be able to attend a similar conference. In the mean time, I'll be praying about it :) I know you'll have an amazing time! I can't wait to hear about the conference! It sounds amazing! Wow, sounds like such an amazing conference! I am so excited to hear about your experiences and the friends you hang out with and meet. Such a blessing from the Lord that you are going! I want to go to Prince Edward Island also! SO BADLY!! a stripe party!?!? How cool and what a fun theme! I can't wait to hear about it and what you ladies learn and how you grow and Christians, bloggers, friends, etc. That is SO amazing that you get to go to the Influence conference, and what a generous gift! How exciting that you get to go! I'm considering going to Blissdom in the spring, but I'm scared to pull the trigger. Absolutely loving that tea pouch - so stinkin adorable, and such a great idea! Ay yay yay, I carry tea too! A stripe aprty sounds amazing. I hope you have fun. :) And i share your love for tea, but i think its adorable that you carry around tea with you. Influence sounds like its going to be a blast! i wish i knew about it earlier and could go. guess i showed up to blogging too late haha. and how awesome that you always have tea with you! that little pouch is adorable! my grandma sewed pillows and quilts instead usually. we keep one of her pillows on our couch all the time. 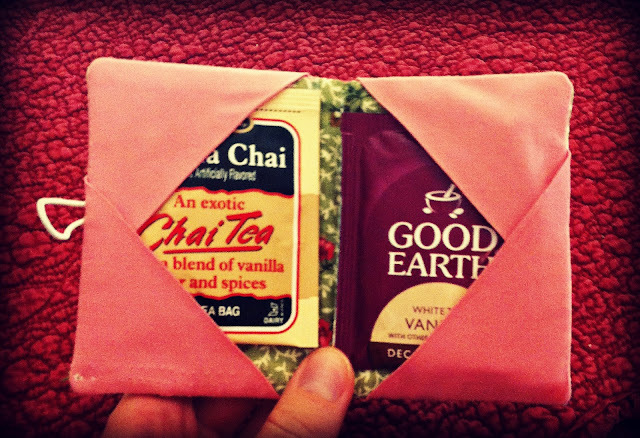 that little tea pouch is amazing!! love. And love that you'll be at influence!!! Beautiful story-God is awesome!! Looking forward to meeting you in person! Oh goodness... Erin Elizabeth you are adorable!!! I will go with you to Prince Edward Island!!! And pink..love it too :) What college did you go to that has home ec as a major? I went to Westmont college in Santa Barbara :)Can't wait to meet you!!! i can't - i just can't. we are going to cry and the entire midwest is going to have to evacuate in fear of the floodwaters. i didn't know you grew up on a horse ranch! was it a working one? after we go to influence we should plan a trip to PEI together! i've wanted to go there for years! reading about how you carry tea made me laugh out loud. love you, friend! i am so excited to finally, finally meet you! YOU seem soo sweet! Thanks for stopping by and saying "hello"! Your heart for God just shines through your posts. I would love to meet up with you and chat about your heart for orphans and other outreach ideas. Looking forward to seeing you! Aw I'm so glad you're going to Influence! Wish I could be there (and meet you!!) but I'll be on vacay then. Someday we'll get our teatime! I take tea everywhere too! and I'm obsessed with red lips as of late..so fun! I just spent about 10 minutes going through your blog. I adore it. You are such a sweetheart and I am so happy to have found your blog. Hi, Erin! That's so great that you'll be at the conference! I look to seeing you there! and when i was really little i told people i lived on a horse ranch because i thought it made me sound fun. and i thought my little pony was my pet. needless to say, i'm JEALOUS that you grew up on a horse ranch! Hi there, Erin! 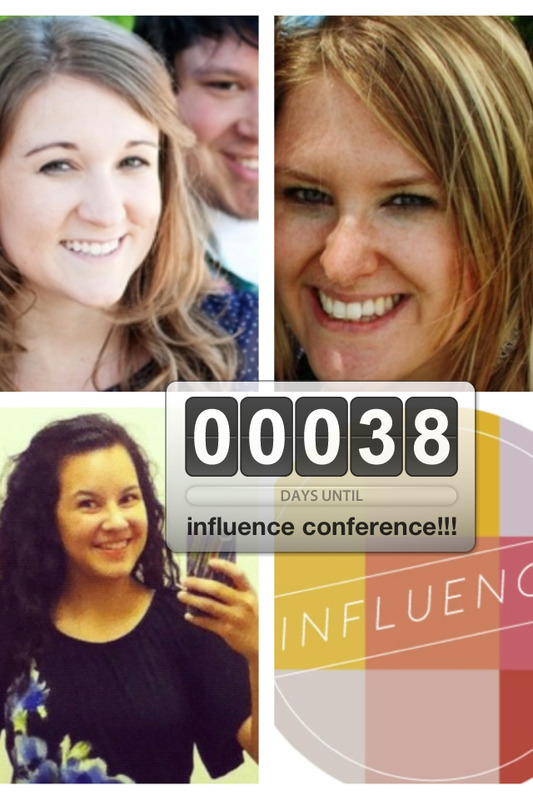 I cannot wait to say hello at The Influence Conference. ;) What a great story of how your heart was filled up just when you needed it. I love when we get to be the hands and feet of Jesus. Bliss. ...and the tea pouch! Just too cool. I love it. Can't wait to see you in a few short weeks. Haha, of course Erin can't leave the house without her tea! It's totally...her. :) Love you so much!!! I'm so jealous of everybody getting to go. Maybe someday. That's an amazing story of how you got there - God is faithful! Thanks for coming by Happy Homemaker Me! I love the timing of this post, because I got to know you a little bit pretty quickly through it! I also grew up as a homeschooled pastor's kid :) My heart is 100% at home near the ocean, but God is stretching me by bringing me inland where He has called my husband to work as a youth pastor (I'm a Southern California girl, too!). Blessings to you as you serve God through this blog, and have a *wonderful* time at the conference!! We can try to get a southern accent to rub off on you in three days ;) But honestly, I am so grateful that God worked everything together for this conference, for our room, and to get to know you better through this. He is so good! what fun to get to know you more!! I love your heart for purity ... I used to teach a small group of jr high girls and the bases was purity ... there are not enough people teliing young ladies to take a stance for abstinence ...love it! Hey, how about a big high five for Annie and God! That's so awesome. I remember you writing about this before. 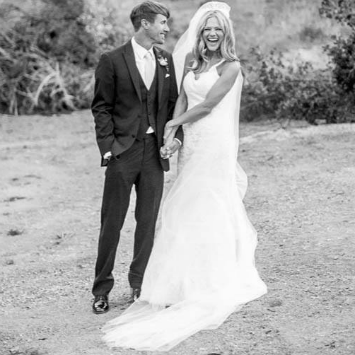 I am so happy for you Erin. It's things like this that make you believe in friendships again. Love all those pictures! You are so pretty! Thank you for your comments on my blog! I hope you have an incredible time at your conference! The Lord obviously wants you there!!!! I am PUMPED to meet you! Erin!! You are such an inspiration and a blessing and I PRAISE GOD that He instilled in your friend to buy you a ticket! I can't wait to meet you! 2 1/2 weeks! !